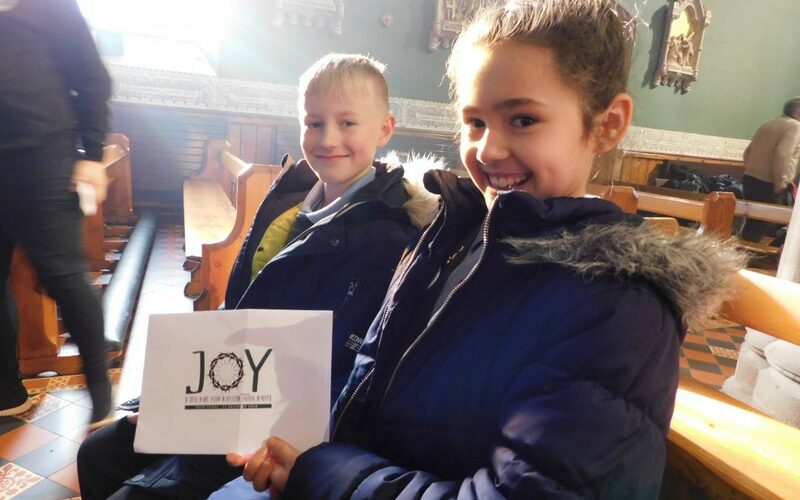 Two of our Mini Vinnies went along to Mass at St Mary’s Cathedral on Wednesday 6th February to present our Youth Friday fundraising cheque for £230.00 to the Bishop. 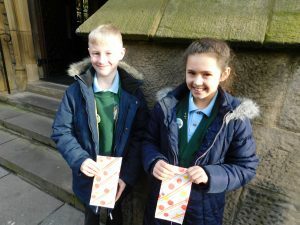 The monies were raised through a ‘Wear Purple (the colour of the YMT) non-uniform day and a cake sale. 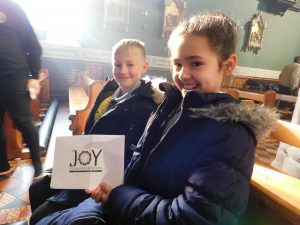 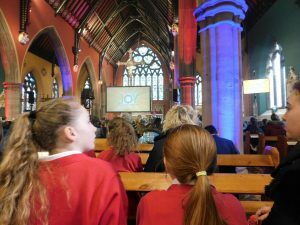 ‘It was a lovely mass with lots of music and photographs’, commented the children and Mrs Thompson, ‘It really felt very joyful and it was great to see that other schools like ours also presenting their cheques too, it made us feel part of something very special’.